Yascha Mounk is a writer, academic and public speaker known for his work on the rise of populism and the crisis of liberal democracy. 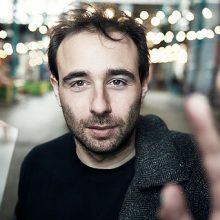 Born in Germany to Polish parents, Yascha received his BA in History from Trinity College, Cambridge, and his PhD in Government from Harvard University. He is now a Lecturer on Government at Harvard University, a Senior Fellow in the Political Reform Program at New America, and Executive Director at the Tony Blair Institute for Global Change. Yascha has written three books: Stranger in My Own Country – A Jewish Family in Modern Germany, a memoir about Germany’s fraught attempts to deal with its past; The Age of Responsibility – Luck, Choice and the Welfare State, which argues that a growing obsession with the concept of individual responsibility has transformed western welfare states; and The People versus Democracy – Why Our Freedom Is in Danger and How to Save It, which explains the causes of the populist rise and investigates how to renew liberal democracy.